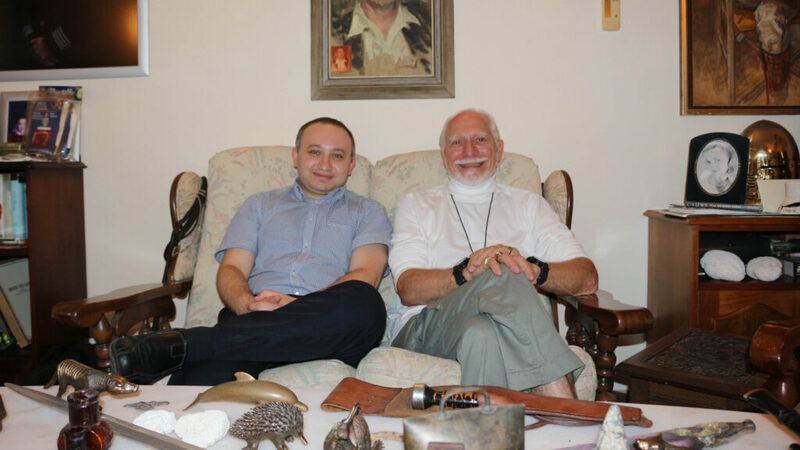 You may be familiar with some key points in the life of Douglas Gresham: His mother marrying C. S. Lewis and his role as co-producer on The Chronicles of Narnia movies. But, there is a huge gap in the middle of his “complicated” life that few know much about. Those years will be covered in an upcoming documentary directed by Robert Cassar. Filming is underway but a release date has not been set. At first I must admit I was a bit disappointed that nothing was said about the Netflix projects, but hey, that documentary sounds really cool! I’ll definitely want to check that out! Doug had a quote in the press release. Nothing more to publicly announce about Netflix at this time. Hopefully it will be worth the wait! Great interview! Thanks NW, and here’s wishing Doug a great Fifth Act to his "Honest Life" ! Hopefully you can get an interview about the Netflix deal. That is the elephant in the room. Looking forward to the documentary. Hopefully, Mr. Gresham will be able to do many more of these interviews. What an interesting life and perspective he has had on the world, and it was a great experience for him to know C. S. Lewis personally. I wish the Lord would call me to Malta. I always like hearing from Douglas Gresham. The documentary sounds interesting. Was this the season finale? I thought it would be but it didn’t sound like it. This was great! I sure look forward to that documentary, in the meantime, it’s been nice catching up to these podcasts, see you on the 7th!